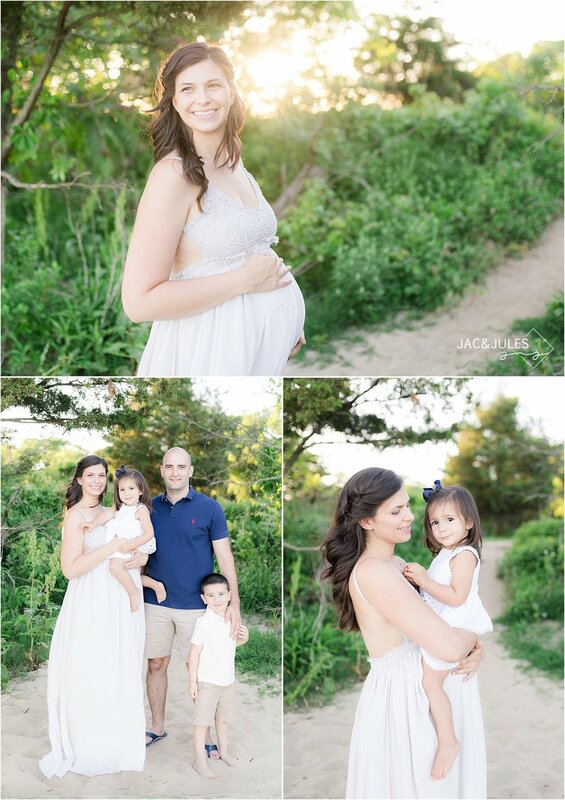 There is so much to love about this session! 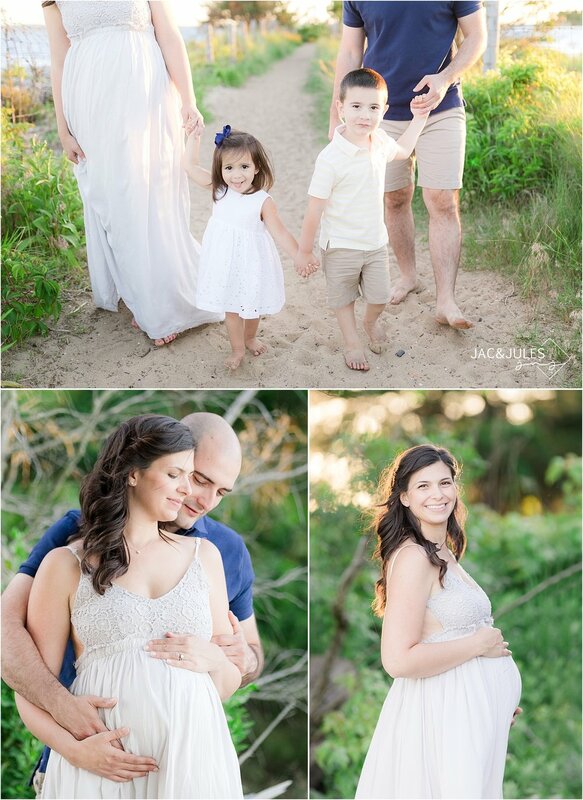 I love working with this family, from the first time for Cate's Baptism. I love their outfits, the lighting, the location.. everything! We found a new favorite spot at Sandy Hook and already can't wait to go back there. 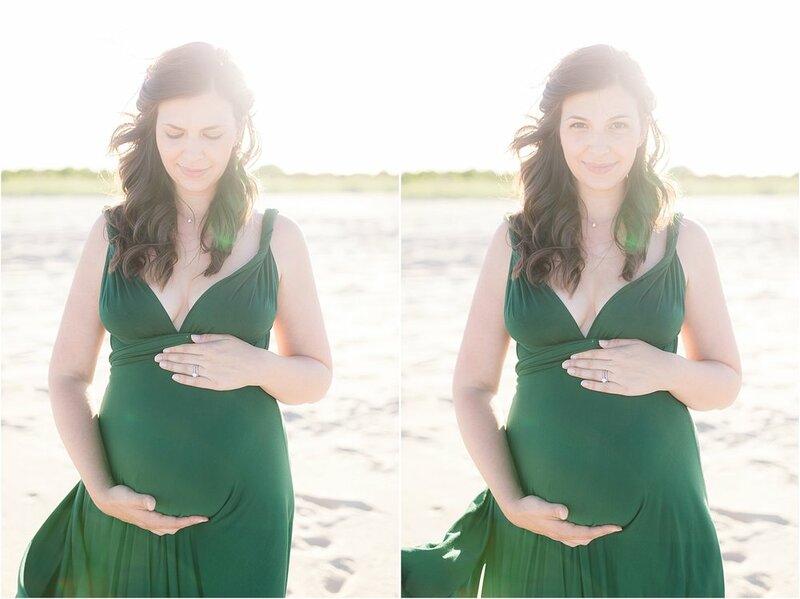 Mom looks absolutely gorgeous at 36 weeks! The weather didn't cooperate with us for the first few days, but I am so glad we held off for beautiful weather, we couldn't have asked for a better day! Most of this session was shot using the Sigma 35mm 1.4 art at 1.8. 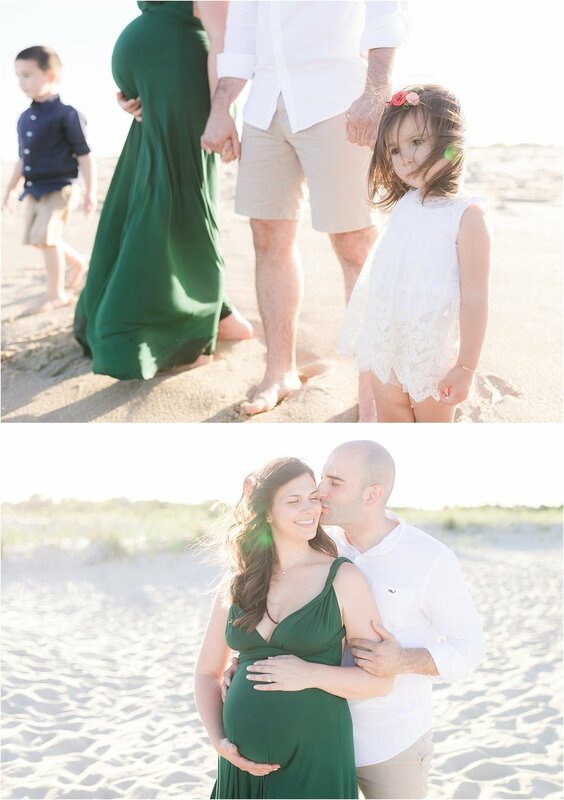 If you know us and follow our work, you know we love those long lenses but I am so glad I decided to stick with the Sigma here (and took a risk shooting family photos at 1.8!). The photos are so storytelling and have an editorial vibe, especially given the dresses and flowers in their hair! Stunning! 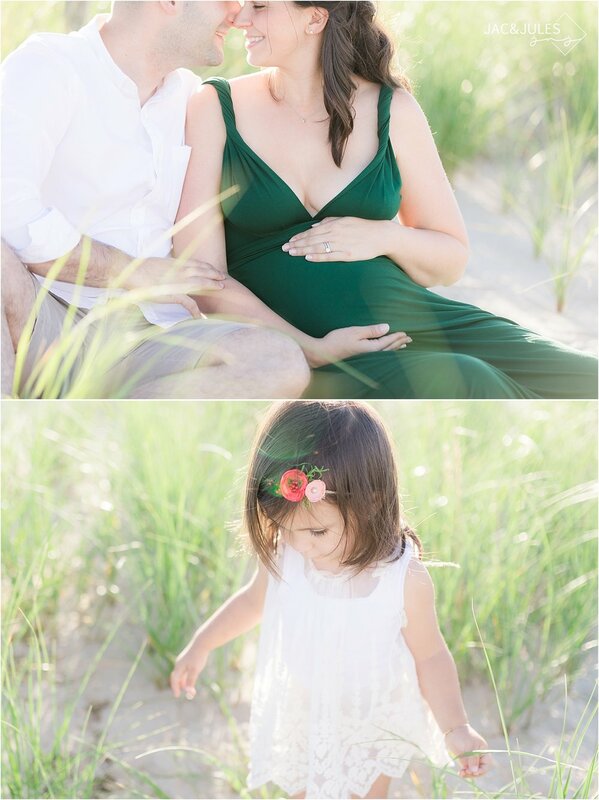 Take a look at some of our favorite maternity photos from this family session at Sandy Hook, NJ. Do you have a favorite? Do you love the look of the 35 as much as I do? Let us know in the comments! INTERESTED IN BOOKING A SESSION OR TALKING ABOUT YOUR WEDDING? WE SHOOT ON LOCATION PRIMARILY USING NATURAL LIGHT AND THE RESOURCES AROUND US AND WE TRAVEL ALL OVER! 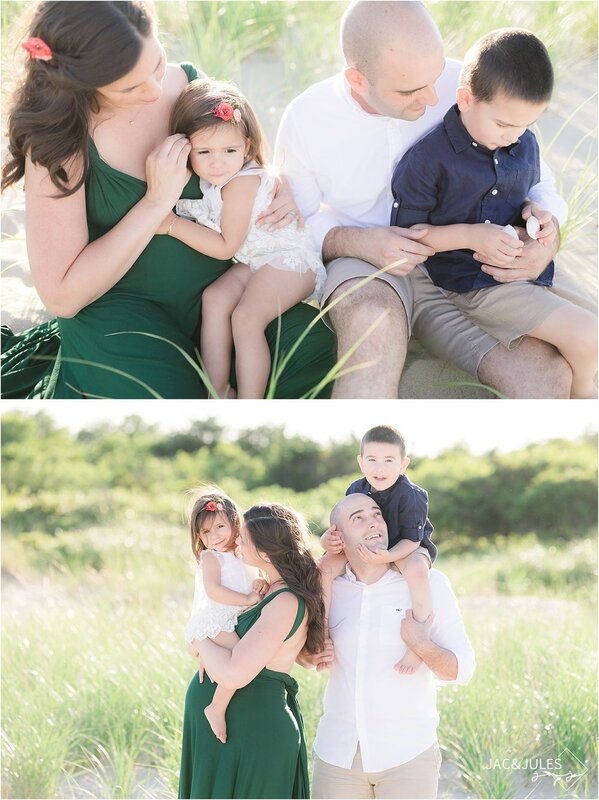 WE PHOTOGRAPH PRETTY MUCH EVERYTHING FROM FAMILY, MATERNITY AND BABIES, TO ENGAGEMENTS AND WEDDINGS. WE'D LOVE TO HEAR FROM YOU!